I’ll start this post by posing a question: What’s the largest search engine in the world? That answer is easy – Google. Here’s another: What’s the second largest? If you guessed Yahoo! or Bing, you’d be wrong. YouTube is actually the second largest search engine in the world. If that doesn’t grab your attention, think about this: Google owns YouTube and, providing they are tagged appropriately, YouTube videos frequently appear at the top of Google search results. YouTube results also get their own section in the “video” tab on Google. 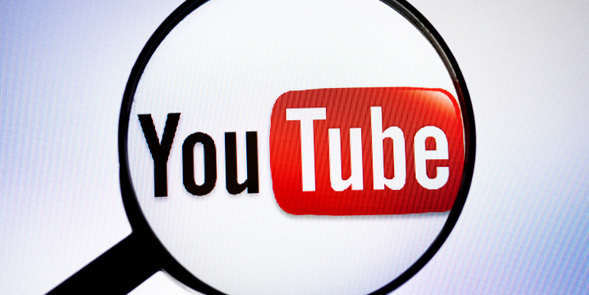 Effectively, YouTube tackles both the #1 and #2 search engine behemoths at once. With the caveat that there is no direct control over search results, YouTube videos often bypass even the exhaustive Search Engine Optimization (SEO) that most websites undertake. If that still doesn’t spark your interest, here’s one more fact: YouTube videos receive more than two billion views per day, which is nearly double the primetime audience of the three major U.S. broadcast networks combined. If I told you that we could create a commercial to air in primetime on CBS, NBC or ABC, for minimal cost, would you jump on it? If there’s any sure way to get your message in front of people, it’s YouTube. comScore, Inc. recently released data from its Video Metrix service, showing that 181 million Internet users in the U. S. viewed online video content in September 2011 for an average of 19.5 hours per viewer/month, engaging in a total of 40 billion viewing sessions. This means that 85.3 percent of the U.S. Internet audience viewed online video in September 2011. Google (including YouTube) was ranked number one, with 161 million unique viewers. Video is quickly becoming a primary communications channel for brands. Videos are engaging, memorable and provide something that is easy to share with friends and family. Here at CCC, our digital team sees video as the future, especially coupled with the exponential growth of mobile device usage – even by doctors. For the healthcare industry, communicating potentially complex information about sensitive health topics can be difficult. Video can be an ideal communication channel for disease awareness messaging or doctor-patient communications, but we have to keep one thing in mind – content rules all. It’s extremely important that videos are created with the world of social media in mind, meaning it’s vital that we prompt people to share a message by providing it in an immersive, entertaining package. If videos are stagnant and provide no value to the target audience, then it doesn’t matter how high they are in search results, the videos will flounder. According to Dose of Digital, there are currently 50+ “Pharma/healthcare company YouTube pages or videos including corporate and brand specific efforts.” Check out their excellent Social Media Wiki for more information. Make sure your videos are on YouTube. Very often I see standalone pages within a company or campaign website for videos. If you have videos, they should be hosted on YouTube (perhaps even on a channel) and embedded on your main website. Pick the right keywords. This is essential in ensuring that your videos appear in search results. Make people want to share your videos – whether to support a cause or just raise awareness, shareable content is one of the main keys to success. Previous Post Google+ Makes a Splash! …Then Traffic Declines. had problems with hackers and I’m looking at alternatives for another platform. I would be great if you could point me in the direction of a good platform. wordpress! jeez, sorry for the delayed response!